race kite, racing kites, racing kite course racing kites, race kiting. Kites designed for speed traction activities over land, water, snow, ice, roads, rails ... are race kites. "Come in out the rain, my son!" Some rain events are also lightning events. Electrical grounding tethers and other safety measures are to be addressed. Notice that some kite systems have a niche purpose of collecting water from the atmosphere. Some kite systems have a niche purpose of cooling drinking water. Visibility is to be carefully considered. Is the kite system relating with other aircraft appropriately? Are airspace rules being followed during rain occurrence? Put safety first. Capillary action may place water into places that may cause damage to the kite-system parts. Consider this in designing a kite system. Consider that water drawn into tight places might become frozen; the freezing of water is an expanding scene; the expansion may crack and break parts. Wing covers that absorb water or even stay wet will change aerodynamic performance. Do you want the change or not? Many sport and hobby soft kites already have simple sand/water drains in the trailing-edge. Another helpful feature is a reduced frontal intake area (often with flap valves). A good example of all these features in a popular trainer kite is the HQ Hydra line. Parafoils, with so many cells, and the presumption of fair-weather use, have not required this capability. This point is a TACO omission, so it will be added in future versions. The obvious conclusion is that such drains be a design-default in safety-critical parafoil AWES, and perhaps be mandated in FARs. An intuitive parafoil drain design is to vent across all cells at the TE, as well as provide multiple small drains from wingtip to wingtip. Even hollow rigid wings need careful rain and condensation drain design, but single-skin concepts like Mothratech avoid the whole issue. Its well known that modern kites fly with only slightly reduced performance in rain (KiteLab Ilwaco flies single-skin experiments in rain routinely and Enerkite has reported parafoil AWES rain operation). What do you think of stock RATs as a baseline flygen model? Radar cross-section wiki of rotors, aircraft, pendulum, etc. Radar cross section (RCS) is a measure of how detectable an object is with a radar. A larger RCS indicates that an object is more easily detected. Airborne Seaborne Wind Energy System (another RDWT),yet another this time completely Airborne Flygen RDWT being that described on Dr. Beaujean' paper. real air Wind tunnel air is artificial; real air has turbulence from very many sources. re-ascent Kite comes goes up again after landing. RE<C Renewable energy less than coal. An initiative by Google. recurrency training See also ADM.
Use kite systems to clean, fetch, and place found goods for reuse, second use, recycling. reefing reefing the sail Reefing is the art and practice of reducing sail area. 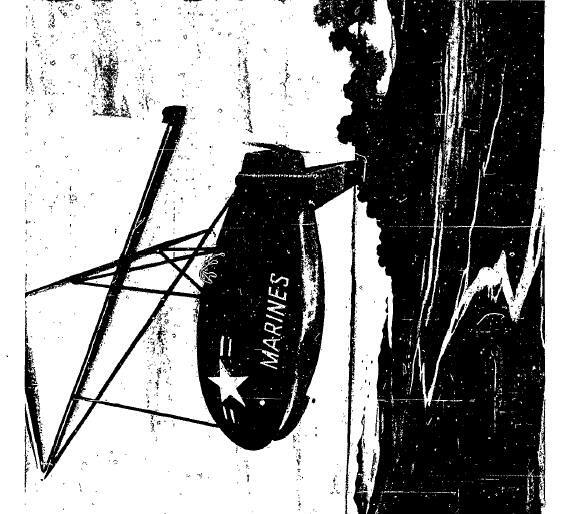 reel The ground-based generator may double-serve as motor for winching airborne wings. reel-in methods For one, see also "yo-yo method" for a family of AWES. reel-in methods during cost (or reset phase ) phase; or "I use "recovery" phase, after piston cycle usage. ~ds AWES5942 " What are the various strategies? Over-the-top fly and work wings in down leg. Perhaps have lifter system at top. Twin or double system: One is pulled in by the power-out system; the in system wing set is morphed for low tension. reel-out "hauling in or letting out"
reel systems (reel-in and reel-out AWES that have production phase and return cost phase) Compare and contrast with "Short stroke reeling with chafing gear". Compare and contrast also with lever/crank systems. The mission of the Rapid Equipping Force (REF) is to equip operational commanders with commercial-off-the-shelf and government-off-the-shelf solutions to increase effectiveness and reduce risk, insert future force technologies and surrogates to validate concepts and speed capabilities to the Soldiers and assess Army business practices, desired capabilities, and acquisition techniques to effect institutional Army change. The REF serves as a solutions catalyst, canvassing the military, industry, academia, and the science community for existing and emerging technologies. renewable energy resellers The extant and growing set of brokers may carry AWECS along with their other carried products. Renewistan This is the high altitude wind space where AWECS live and work. Coining term: Saul Griffith of Makani Power, Inc.
reopenings After closings or collapses or cravats may follow a reopening of a wing's shape. reserve ride The ride down in one's reserve parachute is a reserve ride. retract phase In reel-in-and-out AWES method (yo-yo): the costing reeling-in portion of operations. Ribs can even act as part of a turbulation mechanism to maintain attached flow in turbulent conditions. One sees ribbed wings everywhere in nature, from insects to birds and bats and fish fins. Its wonderful to see how stone-age aerodynamicists figured out how to use *transverse* ribs as turbulators on items like throwing sticks, enhancing performance. Modern toys like Frisbees and Aerobies rely on ribs in just this way. Ribs is therefore just a tool in our wing-design toolkit. 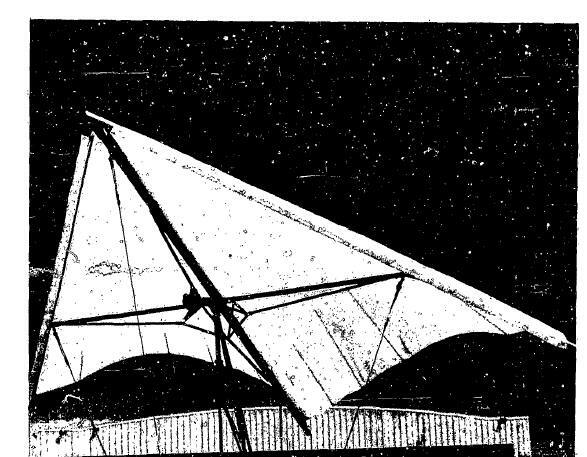 La Revolution de Rogallo And when the 1908 hang glider A-frame (like 1954 Bensen A-frame, Spratt A-frame, flat-kite A-frame or U-frame) married the promoted stiffened Rogallo wing: minimal hang glider again as in 1908 or earlier: Rogallo hang glider. AirborneWindEnergy/message/9460 Rogallo interfaces with kite energy. http://scotthaefner.com/kap/equipment/kites/ Rokkaku is favored for his KAP. http://tinyurl.com/RokkakuKitesGENERAL 63,700 Google, Nov. 13, 2013. Cross and upside-down cross. Jesus and St. Peter in one. What is role in some slip rings? rope soar Phrase used by Donnell Hewett to refer to hang glider pilot soaring under long-line remote mooring (could be moving or not). Rope transmission, the subject of this article, stands apart from all other power transmission technologies because it doesn't involve any conversion of energy. rotative inertia Term used here. rotating tether CAUTION: A tether might rotate about its longitudinal axis or about some point on the tether as a hand of a handheld compass. "The reliability of elevator climber is a problem. I doubt that any car I have owned has ever gone 22,000 miles without needed some repair, and I am mostly going on flat ground. To go straight up for 22,000 miles without having to have a mechanic fix something is really high reliability for a wheeled vehicle. So this will be a high priced vehicle since high reliability takes high priced engineering and high priced materials. A rotating tether does not need a climber. A rotating tether is practical with with existing materials and technology. It needs much less mass and so it is cheaper to build and launch. A rotating tether can also lift payloads much faster (like 10 minutes) and more often. Using cheap existing ropes, less mass in space to get started, and more frequent payloads, makes them far more financially interesting." RTF ready-to-fly product. RTF AWES. RTF kite system. etc. r, t, w are the sets that make up a gliding kite or paraglider. The r is the set of elements that provide resistance to the kiting action of the elements of w. The w is the set of wings in the paraglider or gliding kite; w may have one or many wing elements. The set of tethers coupling r and w is the set t. The t many have one or more lines. The set w may hold a combination of any wing known to mankind at any degree of solidity or flexibility; w may hold rotating wings. A gliding kite or paraglider is set into a fluid and success brings some gliding. A full underwater analogue exists for these matters. The usual scene is in gravity fields, but such is not essential as other effective fields may answer: magnetic fields. electrostatic fields, virtual fields, etc. Let the kite's wing pull out line fast. 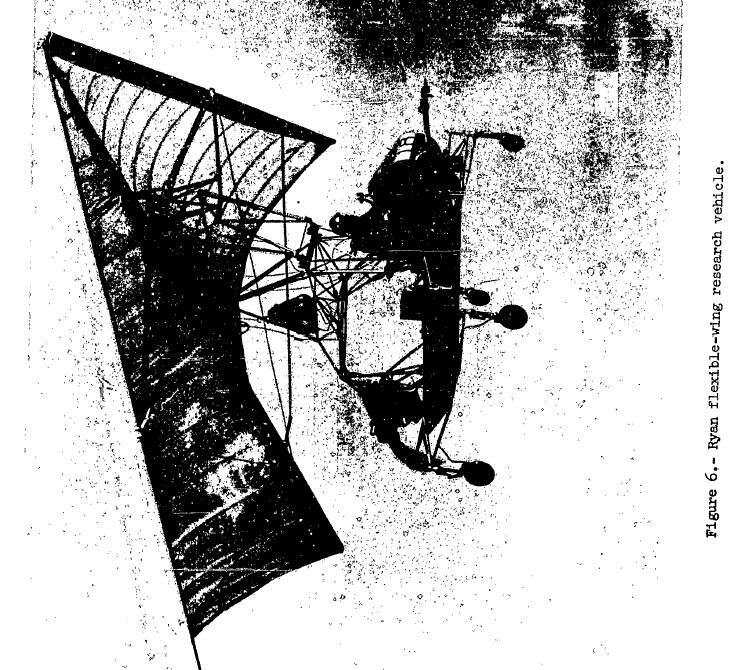 "The idea was to run out about a mile of wire ..."
Also: A human assistant could take kite line and run out with the line to a distant point for attaching a kite's wing for a launch. runaway kites, runaway tandems, escaping kites, breakaway kites, fugitive kites. Unless intended in very specific conditions, prevent runaway kite systems by various means. 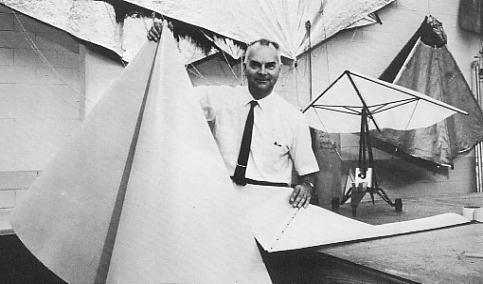 Runaway kiting formed the technical experiential foundations for the FFAWE space of configurations. run winging Run with a wing. Wing running. In skydiving: relative work. Relative Work. Skydivers in freefall flying relative to each other. (Relative Work) Now known as Formation Skydiving. Skydivers in freefall link up to create formations. RWT ram-water turbine (analogue to RAT). RWTs plural.